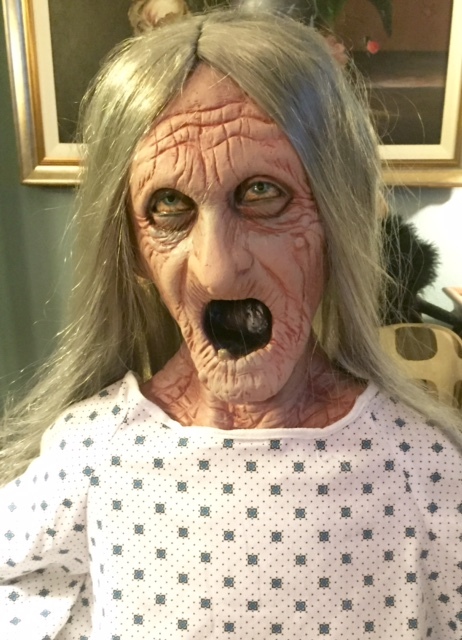 Halloween is one of my most favorite holidays! 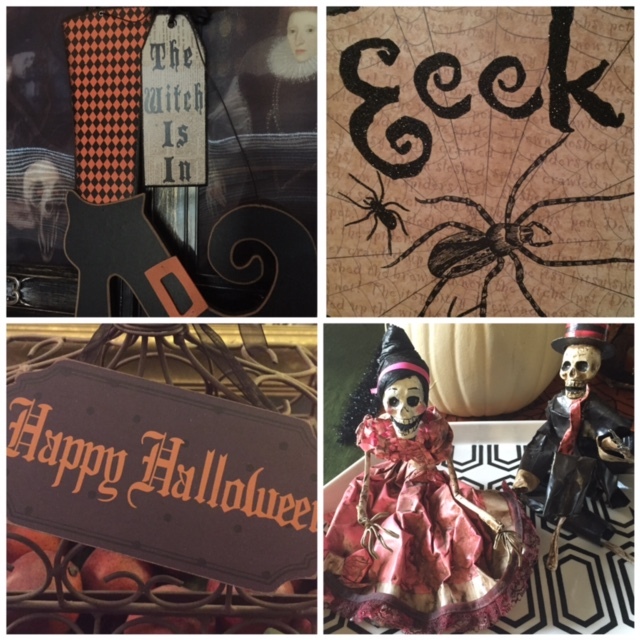 Over the last several years my Halloween decor collection has expanded beyond the normal for both indoor and outdoor. Or at least that what people tell me when they walk up to our house, or especially when they walk into our house! I am not about all the bloody stuff, not at all – it’s all for the kids so you will only find mild, fun scares at this house. I am not trying to keep sweet toddlers from trick-or-treating here. They will just need somebody to hold their hand, that’s all! Granny loves to rock in her rocker near the door on Halloween Night. Just a tiny fraction of the Halloween awesomeness! 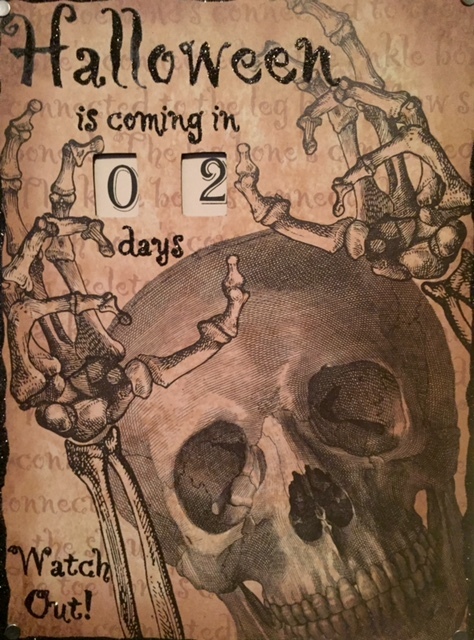 So … the reason I’m writing today is I cannot believe Halloween is just TWO days away! How did that happen?! 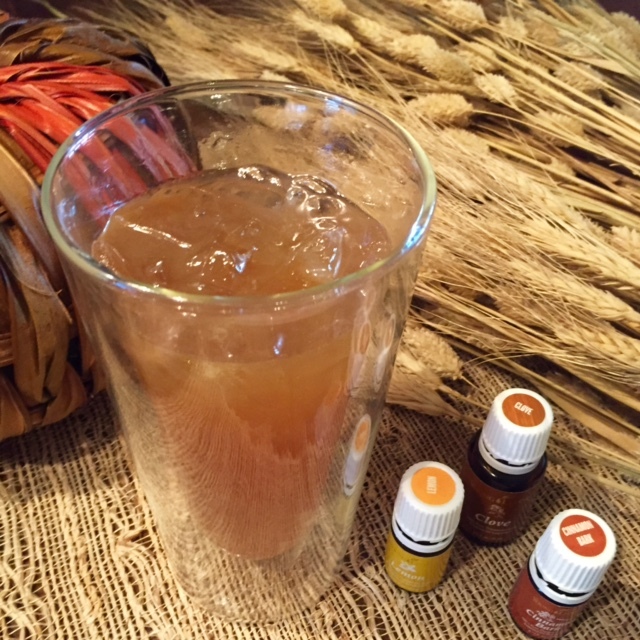 I made up this fall drink last month and posted it on the Essential Cocktail Facebook and Instagram pages, and am including the recipe here in case you missed it. You definitely need to try this one out right now, and hopefully serve it on Halloween night! 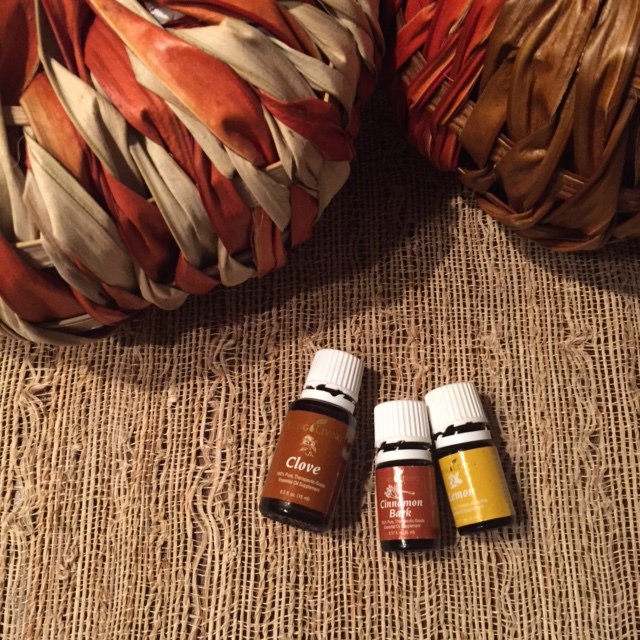 It’s simple and completely comes alive by the addition of essential oils. As you know I only use Young Living essential oils because they are the best we can buy and are 100% pure (not just labeled as such,) are therapeutic grade (they have helpful, concentrated properties present,) and unlike many oils out they are not distilled with chemical solvents or additives. You need to make sure your oils are labeled as dietary supplements before using them in your cocktail recipes. 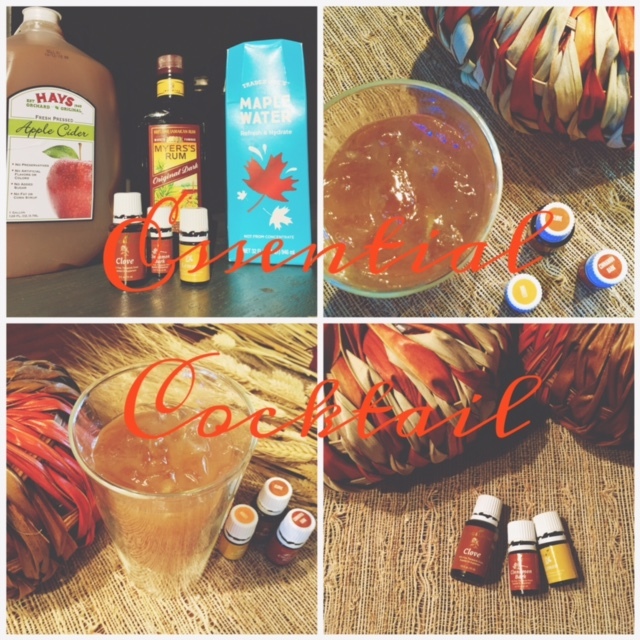 Young Living Essential Oils : Perfect for fall cocktails! On to this awesome recipe that I really hope you try. It’s so simple and delicious. Happy Halloween everyone! Fill a tall glass with ice and add all ingredients. Stir & enjoy! Hot Lips Tip: if you find the cinnamon to be too hot on your lips you may want to use a straw (paper, glass, or stainless steel.) I didn’t find it necessary, but you may. If you don’t already have Young Living oils, you can contact the person who has been talking to you about these amazing oils or see my page here on how you can set up your own wholesale or retail account.